Meet Samuel Andresen-Anderson: stalled writer, bored teacher at a local college, obsessive player of an online video game. He hasn't seen his mother, Faye, since she walked out when he was a child. But then one day there she is, all over the news, throwing rocks at a presidential candidate. The media paints Faye as a militant radical with a sordid past, but as far as Samuel knows, his mother never left her small Iowa town. Which version of his mother is the true one? Determined to solve the puzzle - and finally have something to deliver to his publisher - Samuel decides to capitalize on his mother's new fame by writing a tell-all biography, a book that will savage her intimately, publicly. But first, he has to locate her; and second, to talk to her without bursting into tears. 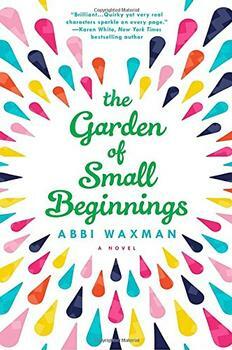 As Samuel begins to excavate her history, the story moves from the rural Midwest of the 1960s to New York City during the Great Recession and Occupy Wall Street to the infamous riots at the 1968 Chicago Democratic National Convention, and finally to Norway, home of the mysterious Nix that his mother told him about as a child. And in these places, Samuel will unexpectedly find that he has to rethink everything he ever knew about his mother - a woman with an epic story of her own, a story she kept hidden from the world. IF SAMUEL HAD KNOWN his mother was leaving, he might have paid more attention. He might have listened more carefully to her, observed her more closely, written certain crucial things down. Maybe he could have acted differently, spoken differently, been a different person. Maybe he could have been a child worth sticking around for. But Samuel did not know his mother was leaving. He did not know she had been leaving for many months nowin secret, and in pieces. She had been removing items from the house one by one. A single dress from her closet. Then a lone photo from the album. A fork from the silverware drawer. A quilt from under the bed. Every week, she took something new. A sweater. A pair of shoes. A Christmas ornament. A book. Slowly, her presence in the house grew thinner. Why do you think that the author chose to call his novel The Nix? What is a Nix according to folklore? How does the Nix function symbolically within the novel and which major themes of the novel does it help to facilitate or uncover? Who in the story believes himself or herself to be a Nix and why? Do you agree with that person? Why or why not? At the beginning of the story, Faye reveals that she believes the things a person loves the most will ultimately hurt them the worst. Which events in her life may have caused her to adopt this point of view? Does the rest of the book seem to support this view of love or overturn it? Does Faye ever change her mind about this? Does her son, Samuel, share her view of love? Discuss. In the end, Nathan Hill has crafted an impressive debut, which is a polished showcase for his sensitivity and humor. The Nix is audaciously ambitious in its agenda and sweep. Will it be the next Great American Novel? Not quite, but it comes close. Very close. (Reviewed by Poornima Apte). Starred Review. Hill skillfully blends humor and darkness, imagery and observation. He also excels at describing technology, addiction, cultural milestones, and childhood ordeals... [A] rich, lively take on American social conflict, real and invented, over the last half-century. Starred Review. Hill takes aim at hypocrisy, greed, misogyny, addiction, and vengeance with edgy humor and deep empathy in a whiplashing mix of literary artistry and compulsive readability. Place Hill's engrossing, skewering, and preternaturally timely tale beside the novels of Tom Wolfe, John Irving, Donna Tartt, and Michael Chabon. Starred Review. Offering engrossing prose, multiple interlocking stories, and deftly drawn characters, Hill shows us how the interlinked consequences of our actions can feel like fate. Starred Review. A grand entertainment, smart and well-paced, and a book that promises good work to come. The Nix is a mother-son psychodrama with ghosts and politics, but it's also a tragicomedy about anger and sanctimony in America ... Nathan Hill is a maestro of being terrific. Pay attention. This is what a Great American Novel looks like. The Nix is culturally relevant, politically charged, historically sweeping, sad, full of yearning, sometimes dark but mostly hilarious. Nathan Hill is a literary powerhouse who will deservedly earn many comparisons to John Irving and Jonathan Franzen. Nathan Hill's The Nix is a huge, intimate, funny, beautifully intelligent novel - one of those books that almost seems to be alive: you open it up and are pulled within, and you live in the heartbeat of its pages, day after day. This is a lovely, smart, surprising read. Sara Levine, author of Treasure Island!!! Ix-nay all plans and grab a copy of The Nix! Nathan Hill's novel is smart, inventive, and fun, as you might expect of a book that features a slew of elves and the 1968 Democratic Convention. I will read it again; I will keep it on my shelf of favorites, feed it sugar water, and hope it miraculously grows longer. Do you understand? The Nix is dead serious and delightful. Fabulous, but in dire need of editing. This book is an incredibly well written book with many twists and turns. Despite its length, I could not put it down and was extremely upset to find out this is Nathan Hill's first novel! Can't wait to read more! In The Nix, Sam's mother, Faye, takes part in the protests that took place at the 1968 Democratic National Convention, one riddled by unrest and tensions. It was a convention held in Chicago where then mayor Richard Daley was believed to have been instrumental in many of the goings-on both inside and outside the political arena. Not since Good Grief has a book about a young widow been so poignant, funny, original, and utterly believable. A compelling debut novel about loss. The Flamethrowers meets Let the Great World Spin in this electrifying debut novel set amid the heated conflict of Seattle's 1999 WTO protests.